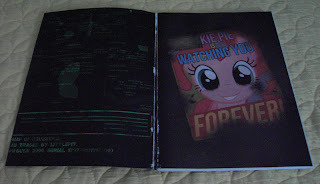 Just thought I would start a list of fanfiction, not necacarly FoE, that has been printed in book form. Last edited by Arcane_Scroll on Tue Feb 21, 2012 2:44 am, edited 1 time in total. Reason: Added another printed edition. I'm not a fan of the story, but I do wish them the best of luck! I hope someone posts an example when it's printed, I would love to see it! Added another printed version that I had somehow forgotten about.